Super awesome Star Wars Lunch set. Ideal for picnics, school, College, work, any day activity, or to encourage your little one eat his/her lunch without putting a fight. 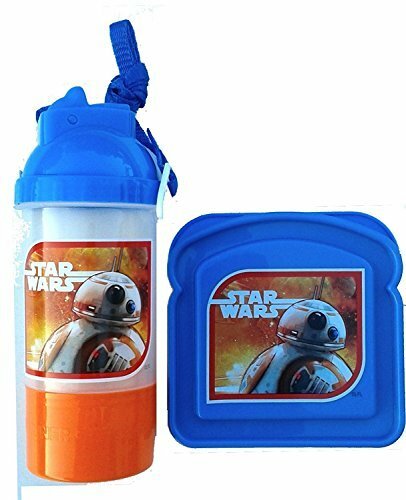 You will also get a cute blue, and orange Star Wars sandwich box. Ideal as a Christmas gift, for school, for work, for any occassion traveling lunch set. In theaters December 18, 2015. If you have any questions about this product by STW, contact us by completing and submitting the form below. If you are looking for a specif part number, please include it with your message.